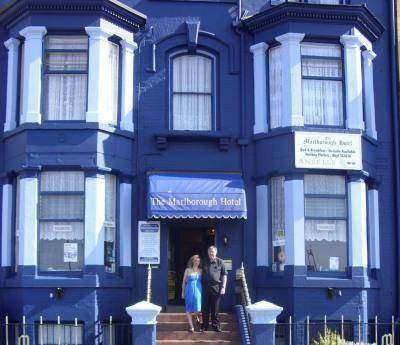 The Marlborough Hotel is situated on promenade in Rhyl, and is a friendly family run hotel, and also very child friendly. 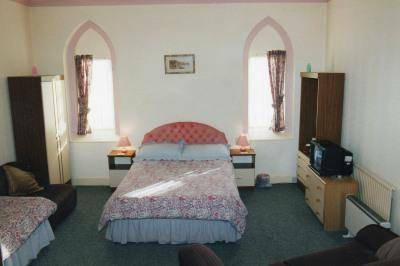 We have a variety of rooms available all with digital television, and most with en suite facilities. We have special weekly rates which are negotiable when you are booking, and also special winter rates are available from September to the end of February. We very much look forward to hearing from you, and hopefully will be able to show you our friendly hospitality. The Marlborough Hotel occupies a prominent, sea view location. Situated on the promenade in the quieter, more discerning area of hotel accommodation, we are only minutes from all major amenities e.g. town centre, beach and tourist attractions. We are ideally located as a base for visiting the many attractions of North Wales. Our hotel rooms are variously situated on four upper floors, whilst the bar and dining room are on the ground floor over looking sea view vistas. We offer our guests a clean, comfortable hotel, with services and facilities. 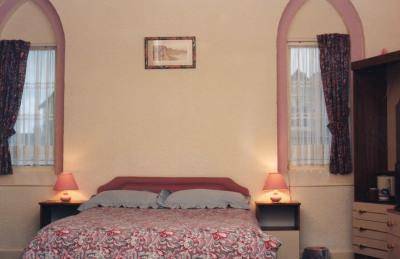 We are a family orientated hotel, catering for families, couples and mature singles. Our child-friendly bar has a selection of games and puzzles for the children's' enjoyment. A full set of keys is issued for each room, giving guests complete access into the hotel, and their accommodation at all times. We have our own private car park and the rear of the hotel.